I’m here to drink beer and make enemies, and I’m all outta beer. Okay, you wanna know what was the most disappointing game I’ve played this year? I’ve played Quantum Break, Mirror’s Edge: Catalyst, and even Battleborn, and all of those are games I’d gladly go back to. Quantum Break had a messy story, both in the game and the TV series, but at least it was unbelievably cool to look at and play through, making it feel like time really was your weapon. Mirror’s Edge: Catalyst was a weird path for the series to take and it was too short, but the movement, visuals, and overall gameplay reminded me of why I fell in love with the first game, and makes me thankful for the belated sequel getting made at all. Even Battleborn, as poorly executed it was from the gameplay to the marketing to the release date, has enough sheer character to it, just from the game’s writing, to make it one of the most memorable titles I played in 2016. Overwatch has none of this. It’s had multiple betas, and three free to play weekends for it to make its case to me, and it’s failed every. Single. Time. Oh, the gameplay’s good? It’s a team based first person shooter, something Team Fortress 2 perfected nearly a decade ago. It has robust multiplayer, and having decent multiplayer in 2016 is as common as an underwhelming movie. Rocket Leauge, Halo 5, Titanfall 2, Forza Horizon 3, Gears of War 4, and even The Division all have an online component where you can run over or shoot people in the face. 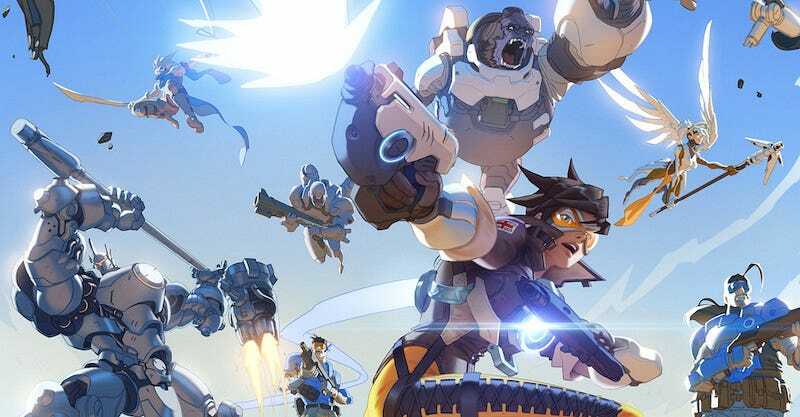 Overwatch’s gameplay isn’t anything special. Oh, it looks cool? The Last Guardian looks cool, with its fantasy setting inside ruins that look straight out of a Souls game. Battlefield 1 looks cool, with a WWI setting that no other game has ever gone for, in neither scale nor scope. Overwatch looks like a Pixar movie made for a Marvel event. That’s it. Now that I think about it, it basically is Civil War: The Game, and it’s as good as either of the event comics (i.e. not at all, oh god Marvel why did you make Civil War II?). What it isn’t: good value, asking $60 for something that’s at best $30, with microtransactions that are more aggressive than what Candy Crush has right now. It has no story nor narrative to speak of, with a few trailers having as good and engaging a story as vanilla Destiny. Actually, wait, if Nintendo released this, the Wii U... would’ve stilled died a hilarious death, but at least the margins would’ve been slightly better. Why would I go back to this? For loot boxes that are a worse gambling mechanism than Destiny’s original RNG? For gameplay I can get on Steam for free? For visuals that even the Wii U can best on inferior hardware? For character’s that are so without depth, that even Battleborn beats it, with actual in game lore written by someone who wanted to make the player [gasp] laugh? This game offers nothing new. Nothing that I haven’t seen before. Nothing that hasn’t been done better by others. It’s a jack of some (not even all) trades, and a master of none. No. I’m not going back. Hell, I’d rather go play Infinite Warfare than Overwatch. At least that lets you kill Jon Snow.